TopologyTel - IVR, Missed Call, Lead management, Call management, Virtual number solutions. 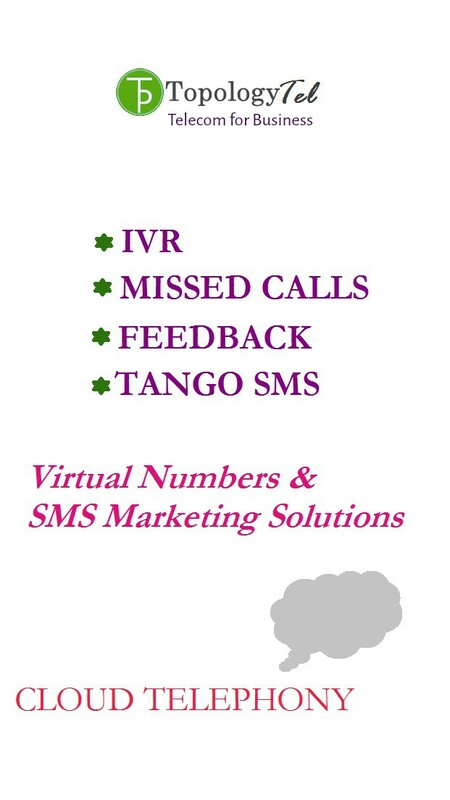 IVR, Missed Call, Lead management, Call management, Virtual number solutions! Click here for TopologyTel India! Be Anonymous, Collect Response, Gather Leads! Greet Customer, Tell him we will call you back and gather Leads! Promotional SMS, Transactional SMS, and OTPs ! © 2019 TopologyPro. All Rights Reserved.